TOKYO - In the northern suburbs from the center of Osaka, Japan, stands a railway station which is unusual. 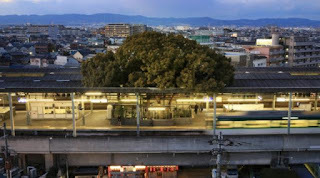 Kayashima Train Station has a rectangular hole in the roof top where a giant tree sticking out. The camphor tree has aged so old. Local officials believe about 700 years old. 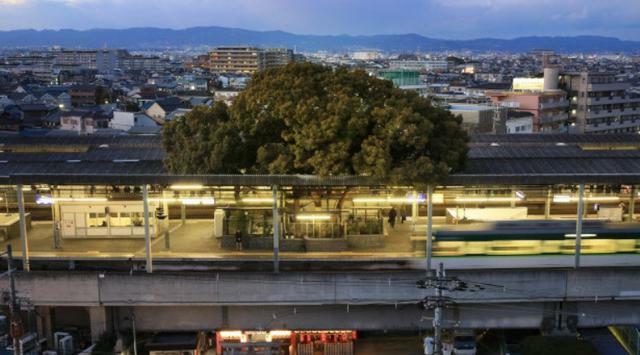 Many stories about how the tree grows in the station, but mostly tells about respect for the nature. Kayashima station first opened in the 1910s, and at that time the tree was standing right next to the station. But the increase in population and population density began to put pressure on the station to expand. In 1972, it was agreed that the tree will be cut down to expand the station. However, when the locals heard of the plan, they protest against the felling of the giant trees. According to them, the curse will come to anyone who bothered him. Whether coincidence or not, strange events occur associated with the planned felling the tree. For example, someone who cut the branches of a tree, had a high fever on the next day. A white snake looks wrapped around the tree. Even some people see the smoke coming out of the trees. The officials finally agreed to let the tree and create new designs. In 1973, construction of the station expansion that does not disturb the tree was begun and completed in 1980. Until now, the tree was still standing in Kayashima Station. 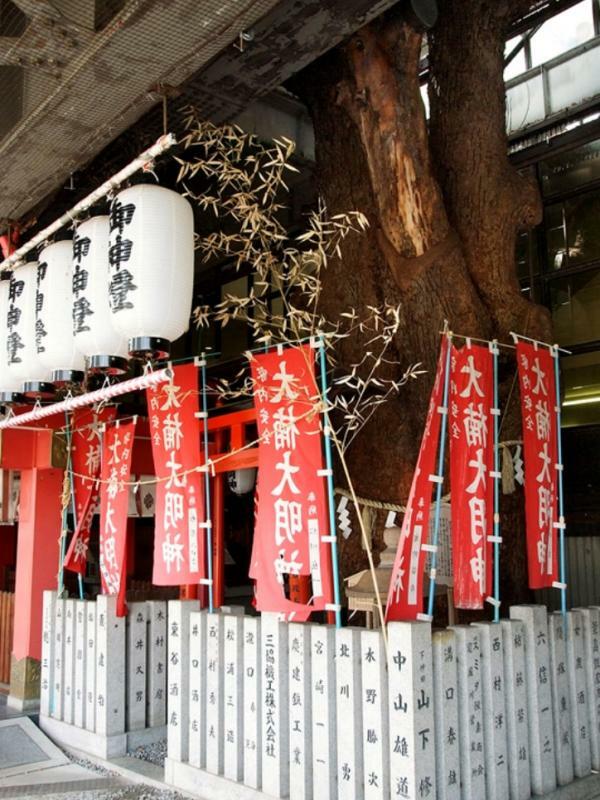 In fact, the base of the tree was surrounded by a small temple in his honor now.